This mother hugs her son's killer and says revenge solves nothing. This mother hugs her son’s killer and says revenge solves nothing. After two teenagers pleaded guilty this month at separate court hearings and were sentenced to prison terms, Abdul-Mutakallim’s mother, Rukiye, offered to hug them. Vengeance, she said, solves nothing. It won’t bring back her son. Rukiye Abdul-Mutakallim holds a photo of her son, Suliman Ahmed Abdul-Mutakallim. He’s a Navy veteran and served in the Iraq War. 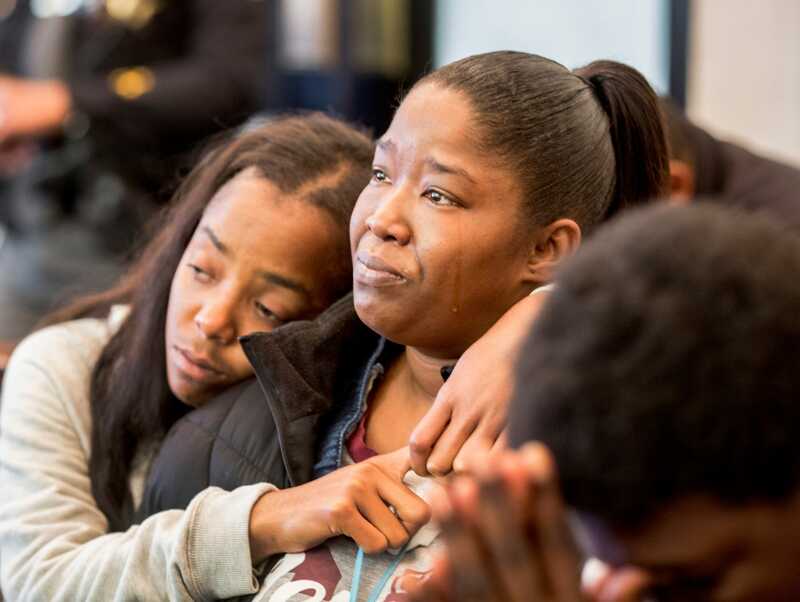 Malyyka Bonner, right, and her cousin Sadareh Pettis, listen as Bonner’s son, Javon Coulter, 16, takes a plea agreement for the shooting death of Suliman Ahmed Abdul-Mutakallim, 39. 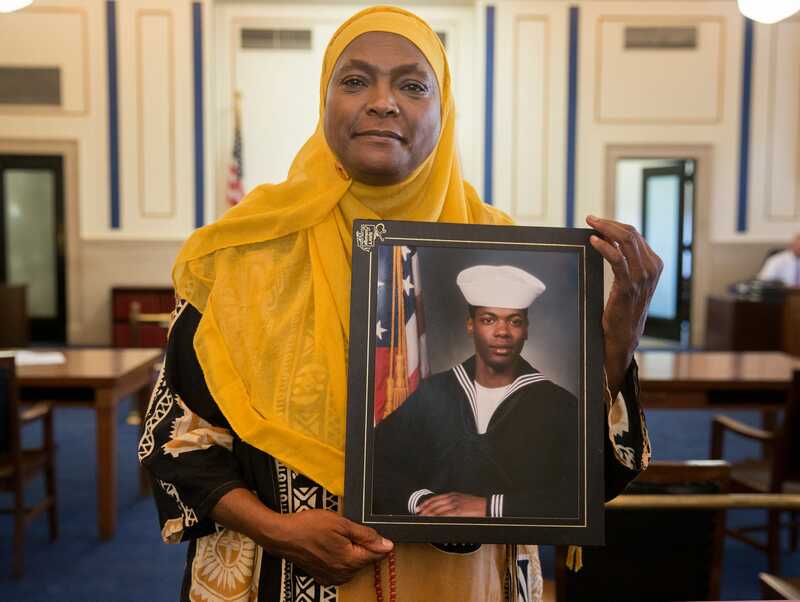 At a court hearing more than two years later, on Nov. 2, Rukiye – after asking Hamilton County Common Pleas Judge Megan Shanahan for permission – did something courtroom veterans said they’d never seen. She walked up to Javon, who’d just admitted involvement in her son’s death, and hugged him. She also embraced Javon’s mother. She wanted them to know she could see beyond the act that took her son’s life. Rukiye, who is 66, said her son’s killers are children who have mothers, like herself. Javon’s mother, Malyyka Bonner, understands that he needs to be punished for what happened. It’s still not clear who fired the gun that night. It was never found. 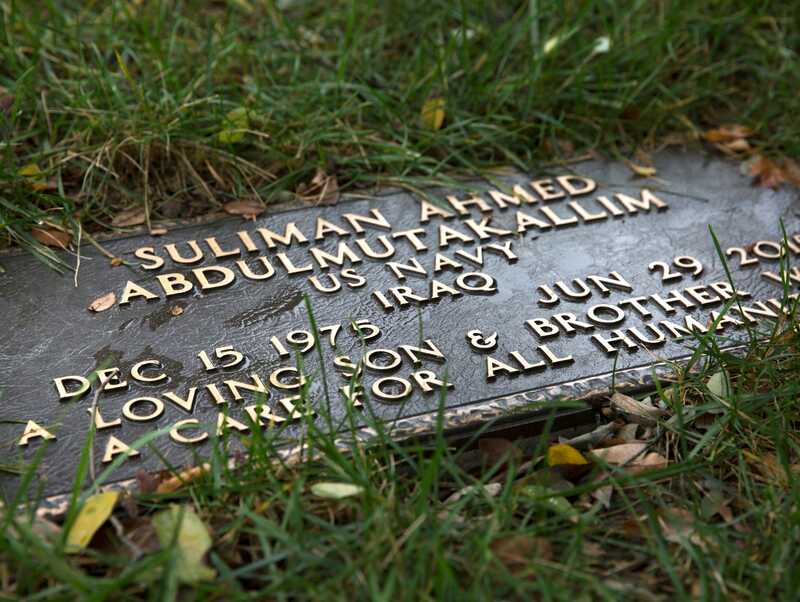 The shooting of Suliman is not seen on the surveillance video. Bonner said she doesn’t know what happened. Javon won’t talk about it, she said. “I don’t think he can fully grasp … the whole reality of what really happened,” she said. Javon Coulter, 16, enters Judge Megan E. Shanahan’s courtroom to take a plea agreement in the shooting death of Suliman Ahmed Abdul-Mutakallim, 39, two years ago. There also was Valentino’s influence. Bonner said he began living in the home where she lived, after his own mother, her aunt, put him out. “To all my friends and family, we don’t know when our time on earth is going to be done, so if you haven’t made your heart right with God, please don’t delay,” Suliman said in the post. Rukiye said her son’s goal was eventually to buy a house and show his wife a better way of life. He’d worked a series of jobs and at the time he was shot worked as a machinist at Meyer Tool in Camp Washington. As part of a plea deal, which Rukiye supported, Javon was sentenced to 20 years. He gets credit for more than two years he’s already spent in a youth facility and will be 34 when he’s released from prison. Valentino received a 14-year sentence. Valentino refused Rukiye’s offer of a hug in court, and she worries that he won’t be willing to accept her help. She worries that he will choose a life on the streets and when released will go back to that world.